There’s one clear path for Catholics after November 8th. No matter what the outcome of our Nov. 8 election, Catholics’ job is clear: Seize the moment to draw people closer to Jesus Christ. In other words, it’s time for the Francis Option. Pope Francis spelled out the “Francis Option” himself in his apostolic letter Evangelii Gaudium. “I dream of a ‘missionary option,’” he says, “so that the Church’s customs, ways of doing things, times and schedules, language and structures can be suitably channeled for the evangelization of today’s world rather than for her self-preservation” (No. 27). Consider the contrasts: St. Benedict’s monastic communities did the necessary work of preserving the foundation of the Church as Rome fell to ruins. After that, St. Francis’s mendicant communities went out and started rebuilding. Clearly, both these approaches are needed (I owe my faith to the Benedict Option)— but Pope Francis emphasizes the latter. After the election has disgusted and degraded us, the Francis Option invites us to be witnesses. Political culture has become a cesspool — and if it wasn’t clear before, an election pitting the lewdness of Donald Trump against the Anthony Weiner revelations proves it. The answer, Pope Francis says, is us. The world won’t embrace the faith until they see joyful, authentic Christians. They need to see new John Paul II’s, Mother Teresa’s, Francises. There are no other options: That has to be us. After the election, people want policies that promote goodness and truth. The Francis Option offers them. 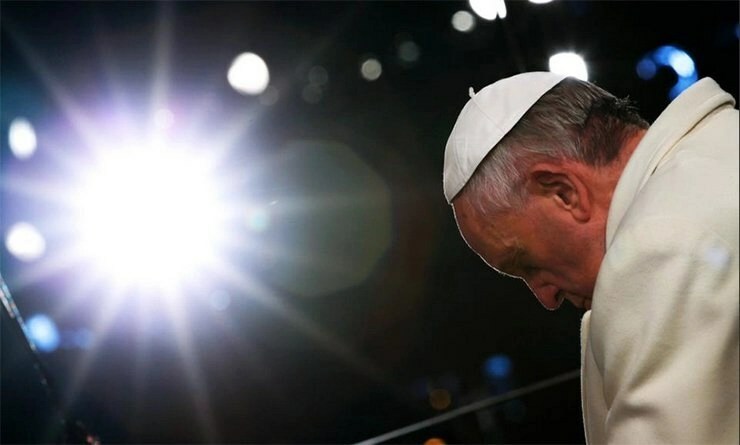 To write my bookWhat Pope Francis Really Said I went through several hot-button issues to see what Pope Francis — and the Church — say about them. Taken together, Pope Francis’s words spell out what a family-centered political vision looks like. He calls for an economy that is focused on consumer value and jobs for families rather than empty consumerist appeal for the sake of stock prices. Pope Francis models true compassion to homosexual and transgender people in place of the false charity of gender ideology. He sees that peace is no more a pipe dream today than it was in Poland, where Pope John Paul’s solidarity cleared away the messes war had left. Pope Francis is passionately pro-life and pro-woman, from conception to natural death. He wants to welcome immigrants all the way into the arms of Jesus Christ in the Church. Pope Francis wants to transform the world’s respect for nature into a respect for human nature. The election showed how badly people need healing. The Francis Option heals. The violence and vitriol of the campaign is just one symptom of the deep wounds in our society. The most tragic sign is a heartbreaking new statistic: Teens today are as likely to die from suicide as they are from traffic accidents. That means embracing God’s mercy and reaching out to others with the works of mercy. The Benedict Option shields the flame of faith from the harsh winds. The Francis Option sets fires everywhere so that the wind would only blow it higher. Photo: Papist, Flickr Creative Commons.